TACA’s Secret Weapon is YOU! Recently a mother emailed me asking, “What is the best school placement for my 5 year old?” Ugh!! That is a really tough question. The answer is, “It depends.” It depends on a lot of things like: where you live, what services your child needs, your financial resources and/or stomach for Due Process and more! Even if I had perfect information on the child and circumstances, I’m not sure I could answer that question well. Sometimes beauty is in the eye of the beholder. I don’t know any school, therapist, or doctor that everyone universally loves. Still, TACA Hawaii strives to provide, “Real Help Now” and I was feeling rather flat that I couldn’t wave a magic wand and provide this mother with the solution she sought. Then it struck me. While TACA provides general information and resources for families confronting autism, maybe one of the best things we do is facilitate a community where families can find their own answers. By coming to a TACA meeting parents can connect with families from all over the island who have their ASD keiki placed in a variety of educational settings: public schools, private schools catering to neurotypical kids, private schools specializing in autism, even homeschoolers! At the conclusion of each TACA meeting we break into Round Table discussions so parents have an opportunity to discuss the topics on their minds. Even if you aren’t interested in our featured TACA speaker, I still suggest that families attend these Round Table discussions which are held from 8:30pm-9:15pm on the nights of our TACA meetings. Another way to join the TACA Hawaii community is by applying for membership in our TACA Hawaii Yahoo Group. Here is the link: http://health.groups.yahoo.com/group/TACA_Hawaii/ (Note: Membership is restricted for families who have children on the autism spectrum.) A yahoo group is like an electronic bulletin board where people post messages and others respond. I’ve known of many people who have made “electronic” friends on yahoo groups. Still, while yahoo groups are great, meeting attendance is a superior way to gather information. Often families say things in person that they would be reluctant to put in writing. No one person in TACA Hawaii has all the answers to every journey related question. Our strength is in the diversity of our membership and in the variety of experiences shared. Engage in the TACA Hawaii community and you will find valuable information that isn’t readily available anywhere else. You’ll get answers to your questions, and you’ll probably be able to help others along the way too. 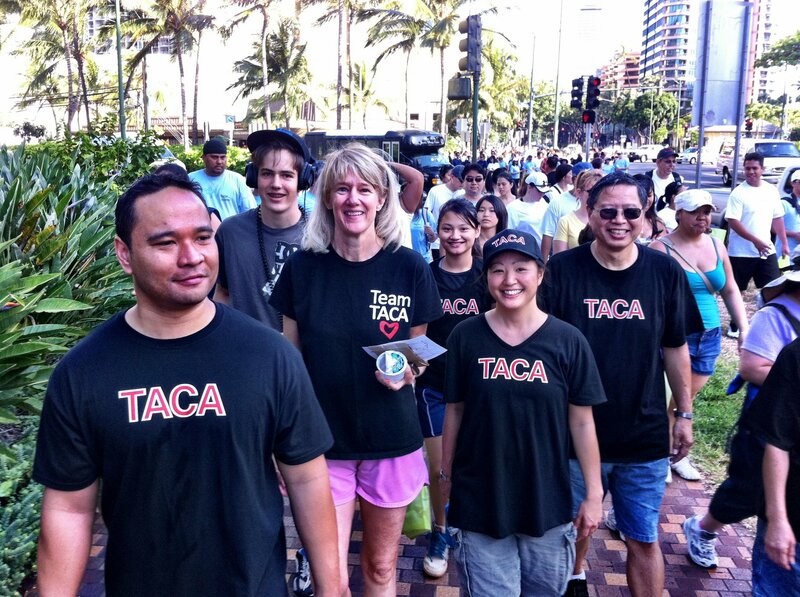 TACA Hawaii’s secret weapon is YOU! !